Talking Leg Lamp features lines from the holiday classic! 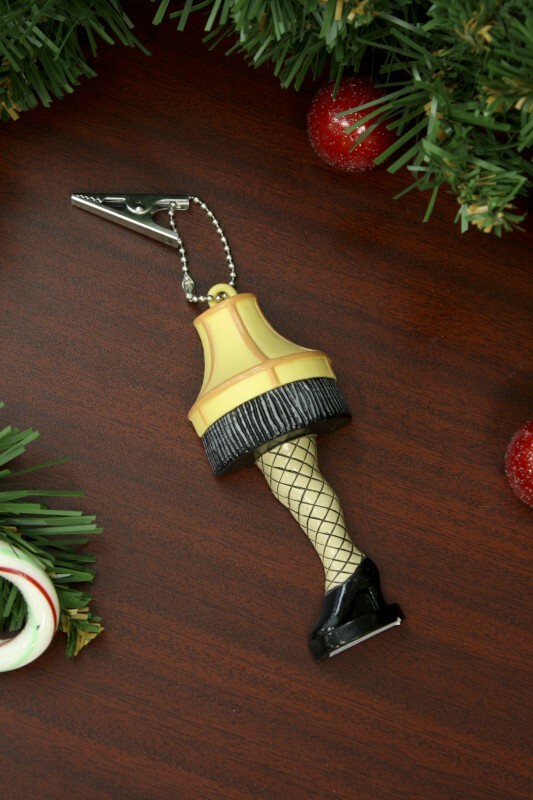 Celebrate the infamous Leg Lamp from the comedy classic A Christmas Story with this talking Leg Lamp clip! Press a button to hear the Old Man say “Fra-gee-lay. It must be Italian!” Use the sturdy clip to attach it to bags, rearview mirrors, and more for Christmas cheer any time of year.